The Body Shop is celebrating its 40th birthday with a new plan to become the world's most ethical and sustainable global business. 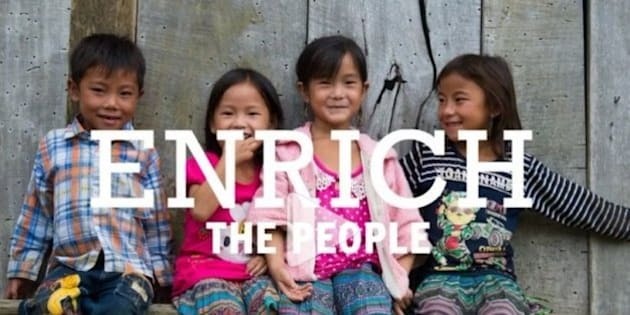 The beauty brand has unveiled "Enrich Not Exploit," a strategy to protect and nurture society and the environment across all areas of its business, from ingredients and packaging to employees and campaigns. The cosmetics giant has set itself a total of 14 targets for 2020, divided into three categories — enriching people, products and the planet. They include plans to help 40,000 economically vulnerable people access work around the world and to ensure that 100 percent of the group's natural ingredients are traceable and sustainably sourced, protecting 10,000 hectares of forest and other habitat. The group has also pledged to power its stores with renewable or carbon balanced energy, to reduce the environmental footprint of its products year-on-year and to invest 250,000 hours into enriching the biodiversity of local communities. "For us, being truly sustainable means shaping our business to work in line with the planet's natural systems so they can replenish and restore themselves," says Jeremy Schwartz, Chairman and CEO of The Body Shop. "We have set ourselves a significant goal to be the world's most ethical and truly sustainable global business." Founded in 1976 in the UK by Anita Roddick, The Body Shop inspires a loyal following for its ethically and sustainably produced, naturally-inspired skincare, hair care and make-up. It is famous for its iconic products such as its Tea Tree Oil and Vitamin E skincare formulas and rich body butters formulated from shea, hemp, cocoa and mango, among others. The brand was acquired by L'Oréal in 2006 and counts 3,000 stores in more than 60 countries. Its trendsetting ways have recently paved the way for an influx of sustainable modern beauty brands, including H&M's "Conscious" beauty collection, launched this year, and actress Jessica Alba's cosmetics line "Honest Beauty," which debuted in September 2015. For further details of The Body's Shop's Commitment, see www.thebodyshop-usa.com/change.